My dime bettors are up over $25,000 the last 14 months! I can help you start Your Winning Streak! I'm on a quality run of 105-75 in baseball with dime bettors up over $13,000! Happy Easter to you! Your 3-time NHL handicapping champion this decade and an Easy Winner for you this Sunday. This will go down as easy as the leftovers tonight! Dime players have cashed in $29,280 on my All Sports picks since 02/25/18! Join now for only $69.95 a day and Start Your Winning Streak! $1,000/game players have cashed in $37,330 on my All Sports picks since 02/25/18! Doug Upstone's 30 Days All Sports GUARANTEED Subscription - Money! Doug Upstone's One Month of NHL Winning Plays! 3-Time NHL Handicapping Champion at Cappers Monitor from 2013-15! I Bet the NHL Regular Season like I play craps, very specifically. Take advantage of this Winning Formula the next 30 days! 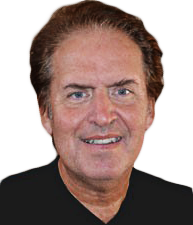 Doug Upstone's NBA Full Package of Winners! Now on a 32-24 run with my last 56 NBA picks! Get one full day of MLB picks released by me, Doug Upstone. I'm a multiple baseball handicapping champion at various sports monitors and am ready to make you money! Tonight in the NBA Playoffs, Play Against home underdogs of 3.5 to 9.5 points like ORLANDO, revenging a home loss, off a home cover where the team lost straight up as an underdog. In the last 23 years, teams like the Magic are 8-30 ATS in this situation. Even with all the injuries, the Pinstripes have more than enough offense to batter the Royals Heath Fillmyer and relievers that follow him. Look for Masahiro Tanaka to rebound from a poor outing. Next, let's consider that the Yankees are 19-8 against the run line after batting .200 or worse over a 3-game span, while K.C. is 11-23 against the run line in April road games the last three seasons. The Finisher - AL home teams against the run line with a slugging percentage of .440 or higher, against a team with a bad bullpen (WHIP of 1.55 or higher), batting .225 or worse over their last five games, are 36-15. On Saturday night in the NBA Playoffs, Play Over on road teams when the total is 200 or higher like MILWAUKEE, after two straight wins by 15 points or more, against opponent after a blowout loss by 15 points or more. In the last five years this situation is 27-5 OVER at 84.4 percent. The Red Sox starting pitching in the worst in the majors, with an ERA of over 6.4 and among the contributors to this horrific stat is Rick Porcello (0-3, 11.12). It's fairly amazing Porcello is getting another start, even if it's only April. In only 11 1/3 innings, the former Cy Young winner has surrendered 22 hits and walked 12, which produces an ungodly WHIP of 3.00. Coming into this confrontation, opposing teams are batting, you ready for this, .415 against him. Backed with a bullpen that has an ERA over 5, Boston better hit. Charlie Morton (2-0, 2.18) continues his late in life (baseball years) revival. At 35, Morton still has an electric fastball and has fanned 25 batters in 20 2/3 innings, while only giving up 14 base hits. After losing last night 6-4, Tampa Bay maintains a large seven-game lead over the Red Sox. Though Porcello has generally pitched well against the Rays (14-10, 3.42 ERA), that would seem like a performance he's not presently capable of. The BoSox are also an undesirable 3-8 against teams averaging 1.25 or more homers game this season. With the Boys from Bean-Town 4-10 on the road, Tampa Bay is too good to pass up. Going with the better team and better pitcher in this one. Jameson Taillon might be 0-2, but he has a solid 3.43 ERA. He certainly a more reliable pitcher than the Giants Derek Holland (1-2, 5.00 ERA), who walk a batter every other inning. San Francisco is 5-17 revenging a loss as a road favorite, while Pittsburgh is s 7-0 vs. teams averaging 2.75 or less extra base hits per game and 17-1 against teams whose hitters draw three walks or less a game. San Antonio has been the better team in this series except for about 18 minutes at the end of Game 2. It not unreal to surmise the Spurs could be up 3-0 over the No. 2 seed. Here are two aspects I cannot overlook for Game 4; Denver is 0-7 ATS in road games revenging a same season loss and San Antonio is 14-4 ATS as a home favorite of six points or less this season. Both angles have a team like the Spurs winning by around 10 points and I concur. Alex Ovechkin was very frustrated with his team's effort in Raleigh. "We can't hope that one guy is going to make a save or score a goal," Ovechkin said. "You have to go out there and play your game. If you don't want to do it, don't play." It's not like we haven't seen this from the Capitals before, go back to last season at this same time when they down 0-2 to Columbus before starting their run to the Stanley Cup. Washington played without urgency at Carolina and if they continue to play that way, they will face an elimination game on Monday. Nicklas Backstrom and Evgeny Kuznetsov, in particular, have to raise their level of play and makes their linemates more effective. Washington is 26-17 SU at home. For NHL picks, it is difficult to overlook the Caps are 20-9 after two or more losses and 30-10 after two or more Under's and they win this contest either 3-2 or 4-2. Indiana is not playing well and does not have the offensive resources to beat Boston. The C's by 6. Unless these teams are arm weary from swinging the bats from yesterday twin-bill, pitchers K. Gibson and D. Bundy both have ERA's over 7 thus far. These starters also have ERA over 5 against the other team and Minnesota is averaging 7.2 RPG on the road and Baltimore 5 RPG at home. Doug has had 21 No. 1 rankings at online sports monitors (and 70+ Top 10 finishes) in a multitude of sports and consistently delivers HUGE profits. He’s known for his diligence, preparation, knowledge, focus and his willingness to share his expertise. His articles have been in the New York Post.com, Sportsbookreview.com, Covers.com, VSIN.com, VegasInsider.com Playbook.com, Daily Racing Form, StatFox.com, Sportsbook.ag, and VegasProInsidersDaily.com on a daily basis, along with being seen at many different websites on the internet.rnrnPlays are released throughout the day due to research, with the last roughly 90 minutes before the day's first game. My rating system is 1-5*, with FIVE the TOP PLAY!